PARIS – A couple of weeks after being there, I have now finally found the time to update my Thumbnail Guide to Shanghai Open Mics, Jam Sessions and other Live Music. Unfortunately, I have only one place to add to the list, the amazing YYT open mic, which I have finally managed to do myself (the principle behind my guide being that I give personal experience accounts to what it’s like to perform in the venues.) And I ended up cutting out several other open mics in Shanghai that have ended since I started this worldwide guide two years ago. I plan to update all of my Worldwide Thumbnail Guides as I travel the world again this year – so keep posted! (Oh, and the Paris Thumbnail guide to open mics, the original of them all, is due for a major update too, since there have been many changes in recent months here in Paris’s open mics. BAHRAIN – So here I am writing about what I did during my time off in Shanghai, China, but from Bahrain where I am at the moment. I have 15 minutes free before I have to get down to work for the evening, so I decided to do what I could to reverse this trend of getting behind my little reports of life on the road at the open mics. I got behind in China for obvious reasons to readers of this blog – if you read the post before this one. But, yes, I did attend an open mic in Shanghai, and I did love it, and there were some really outrageous acts. 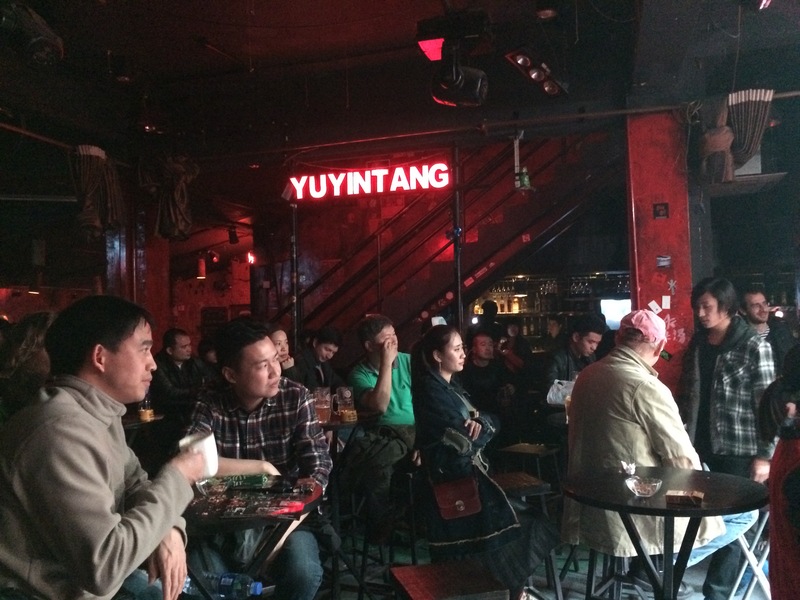 I had heard of the YYT open mic – for YuYinTang – for at least two years, but I never managed to get there. I think it’s because it happens on Monday nights, and I had to leave the country in recent years past. But this time around I was there Monday night so I took the immediately first opportunity to attend this open mic, and I’m glad I did. Although when I arrived to find the room full of spectators, and a high, sizeable stage set up with drums, a half dozen guitars and other instruments, I thought, Oh, no, this is a jam session for a full band kind of situation. That meant so much for my solo bit with my guitar, and that of a Brazilian colleague of mine who I arranged to meet there. In the end, I did not have to worry, as the YYT is really open to all kinds of acts, solo or otherwise. Oh, you’re at a disadvantage in that situation going solo, since the crowd gets really wild and hot when the bands go up. But I had plenty of thumbs-up signs from spectators through the evening after my two-song set early on. And they were immensely respectful during the songs. The MC is a wonderful presenter, and if you had a case of the nerves, he’ll be there to warm you up, as he was with my colleague, going up and speaking between his songs in a Chinese that we could not understand, but that warmed the audience up further…. Of the outrageous acts, my favorite was the man with the rage. This was a Chinese guy who had a cool foreign backing band, with a slick lead and smooth bass player, but this man yelled, yelled, yelled with rage into the mic. Even the band was amused. Check it out. The other fun band was the very young and inexperienced group that looked almost like teenagers, and who played almost exclusively Led Zeppelin songs, with the woman singing. Delightful! Finally, I met the bass player, spoke to him afterwards, and found he was a Frenchman, longtime expat in Shanghai, with a talent for gypsy jazz, which he plays frequently in China. Altogether worth attending ever time I get a chance! 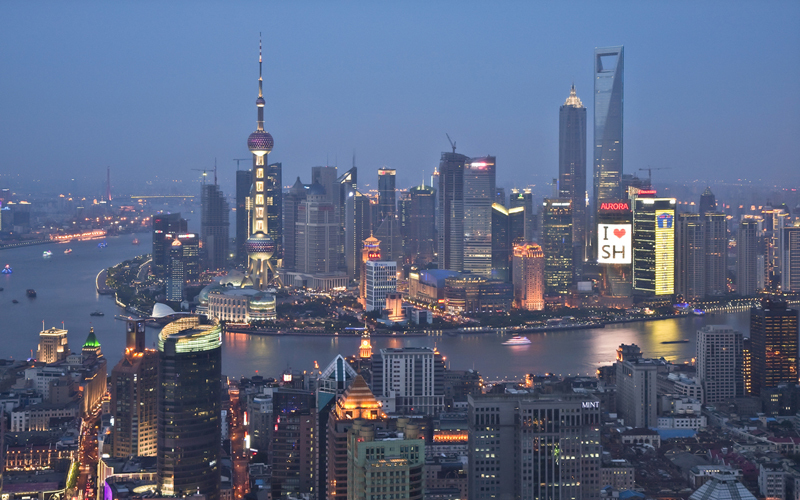 SHANGHAI, China – I think the only way to understand the frustration of trying to do a blog once a year for a few days in Shanghai is to come to Shanghai and try it yourself. Let me just say that the Chinese government control of the Internet is quite effective, even if there is such a thing that exists called a VPN, that allows persistent people to fight through the great firewall. I’m not feeling very energetic tonight, so I decided I will keep this post very short. I just simply wanted to say that I have been in China since Wednesday, and I have not posted partly out of discouragement from the necessary pains trying to do so, and partly because I have not actually attended any open mics so far on this visit. I intend to attend open mics in the next two days, though, hopefully two open mics. And I will duly report on those. Both will be new experiences for me, as I have attended neither of them in the past. I have been playing LOTS of music in my hotel room, though, as my last couple of weeks or whatever it was in Paris, I did little playing thanks to a new neighbor who hates music, and thanks to my own other occupations. So I have been going absolutely crazy playing in my hotel room with Shanghai lit up 18 floors beneath me. My only other reason for posting is to mention on this blog a very worthwhile project that needs crowdfunding: My daughter, Emily, is working on an end-of-the-year short film project at her film school, the Ecole de la Cité, and she needs to raise a budget. The budget, it turns out, is a very real need. I spoke with her about where it goes, and if she is learning a lot at the film school, I’m learning a lot through her about what it takes to become a filmmaker – including where the budget goes!!! So go to her crowd fund-raising page and support her film: Yes Yeux Ouverts or what she is calling, Opening the Eyes in English. She has reached nearly 50 percent of her budget so far, and needs to get 100 percent, as you probably know in the principles of crowd fundraising. SHANGHAI – My worldwide open mic journey began in China in 2008 after the Formula One race in Shanghai, and little did I know that it was a journey that would continue for six more years and cover most of the globe, every continent except Africa (where I once lived and played music in an open mic decades earlier) and Antarctica, and that it would spawn a book, a blog, an album, a documentary film, numerous podcasts, music videos and other multimedia projects. So here is the page devoted to tying together the pieces of the open mic adventure that I have lived in Shanghai since I first started. At each subsequent Formula One race that I visit this year, I will add a new such page. Keep posted…. SHANGHAI – Word-of-mouth got me to the open jam session at the cubby-hole Karma Lounge in Shanghai last night after someone I met at the previous night’s open mic told me about the good Karma jam…. 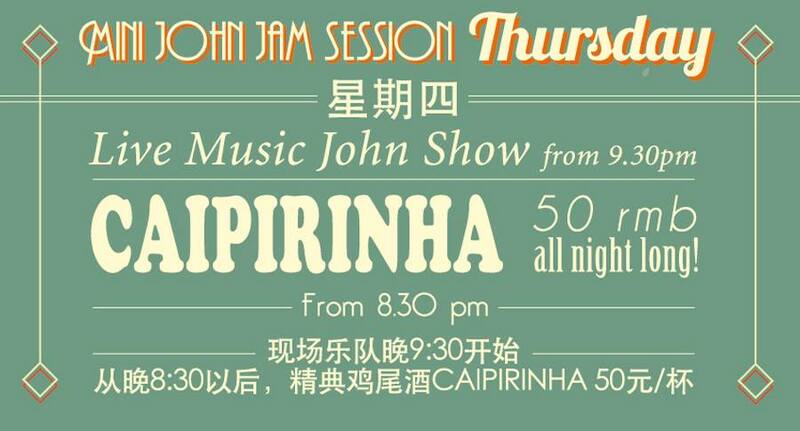 But the moment I entered the bar, I realized that I had already met the owner, jam leader and performer, John, who is known throughout Shanghai by musicians for his reputation of starting jams and open mics all over the city. I had met him last year at the Comptoir jam, which was a high point of my visit last year. So I had a very good idea of what kind of night I had ahead of me, or thought I did. One thing I did not expect was to hear a voice from the bar call my name also a few moments after I entered the bar. I turned to see a man who looked vaguely familiar, but I was not sure why, and I felt slight worried I was not recognizing an old acquaintance. It turned out to be Tony Tse, who is Hong Kong-based business man in the textiles industry who travels around Asia for his work…and takes part in open mics and jam sessions. “They often tell me when I get somewhere that you had just preceded me,” he said, noting that people made the connection between us since we both have jobs that take us around the world to do other things, and we take advantage of that to go to an open mic to perform. Another such persona that stands out in my memory is Danny Fonfeder, who is in the schools supplies business in Canada, but take his guitar on his travels around the world to play in open mics. And if I also started up this non-profit blog (I call it that not out of principle, but out of a lack of ideas on how to make money out of it!) as a sideline to the open mic journey, Danny ended up starting a very nifty business of creating and selling guitars, which he calls Blueberry Guitars. Hmm, so, Tony, now it’s your turn! A line of busking clothing? High-class, protective cloth guitar cases for travelling? Anyway, the jam at the minuscule Karma Lounge was really interesting both for the amazing quality of the musicians and for the fantastically warm members of the audience. Jammer John is rightfully proud as he is the owner of this venue, and he told me that he is planning another jamming location to add to it soon. It felt as if there was an equal number of expats and Chinese people in the audience, in a truly multicultural experience. But for open mic musicians, do be warned: The style of this jam is not really one of the solo open mic sort, as you really have to sit in the circle of musicians and play music that everyone can jam along to. It did seem that priority goes to the regulars, and that is no doubt because they are the ones who best “get” the idea of this particular jam, and share regular songs, thus facilitating the free, non-stop flow of music well into the night. Definitely worth a visit as either a musician or a spectator.